Fasha the baby gorilla lost his mum and adoptive dad before being snared by a poacher. 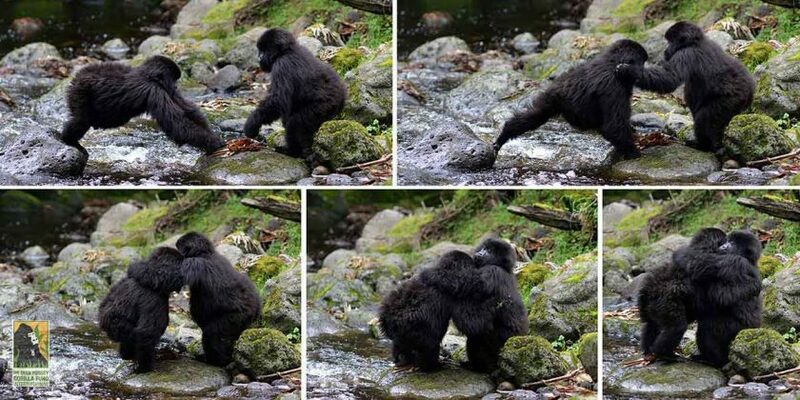 It’s been a difficult couple of months for a young gorilla in the rainforest of Rwanda’s Volcanoes National Park. 3-year-old orphaned Fasha lost his mother when she deserted the group for another and had to deal with the death of his adoptive father, Isabukuru. Just a week after his father’s death, Fasha suffered serious injuries after being snared in a trap left by poachers. When trackers from The Dian Fossey Gorilla Fund arrived to check on the group at the start of April, they noticed immediately that 3-year-old Fasha was not there. After searching, they found a deactivated snare nearby and soon located Fasha by himself. He was trapped with a long piece of rope around his ankle, attached to a bamboo branch. They were able to detach the branch, but the rope was wound tightly around his foot. The team organised a veterinary invention, as sedation was required to remove the rope. On returning the next day, the team discovered how tight the rope was around Fasha’s now-swollen left ankle. It showed signs that he or other gorillas had tried to remove it, and he’d also lost a few teeth, probably while trying to bite the snare off. Luckily the rope was successfully removed, the wound cleaned and antibiotics given, all within about 30 minutes. After close monitoring, Fasha began returning to his normal self and a couple weeks later, the team spotted something truly touching. As Fasha crossed the Susa river, he was greeted by his orphan friend Icyororo, who was waiting for him on the other side with a big hug! 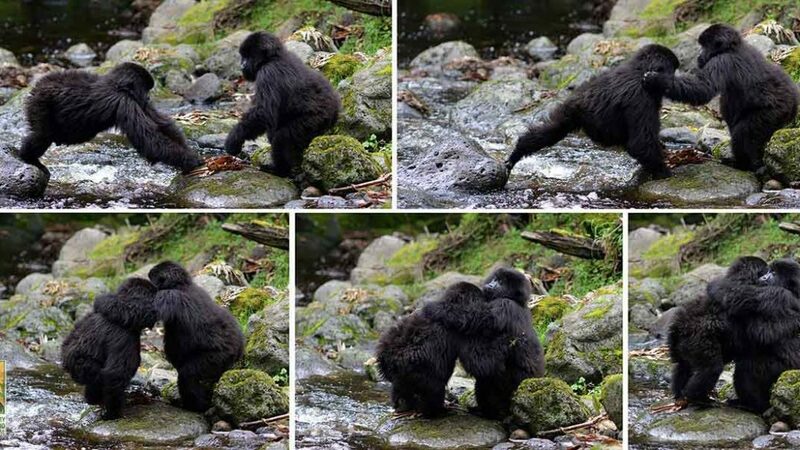 It’s an incredibly touching end to this horrific ordeal and just shows how emotionally advanced and connected gorillas are. While, no gorillas in the group had been caught in snares since November 2015, Fossey Fund staff have noticed an increase in the numbers of snares around the area. Just over 10 years ago, Rwanda was rife with poachers. They aimed to kill gorilla, rhino and other mammals as trophy prizes. But after a crackdown, levels of poaching has reduced. However, it still remains a key threat to the wildlife in the area. Find out more about this young gorilla and about the incredible work The Dian Fossey Gorilla Fund do to help protect them in the wild. Featured image of Fasha and Icyororo. Photo: The Dian Fossey Gorilla Fund Facebook.